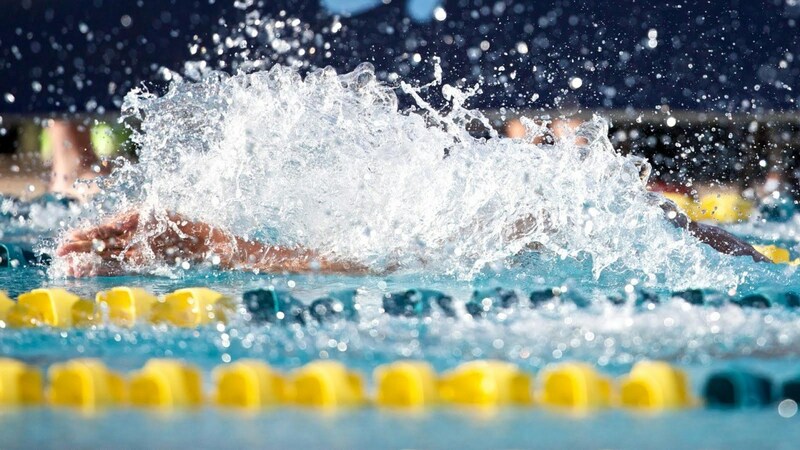 The first day of Tennessee high school swimming’s two-day state championship meet saw a number of state records go down, including the boys 50 free to two different swimmers between prelims and finals. In prelims, Christian Selby of the Baylor School snuck under the record set by his former teammate Luke Kaliszak last year. Selby was 20.41 to break Kaliszak’s record of 20.43. But then in the final, Montgomery Bell Academy’s Chatham Dobbs stole the record for himself, going 20.28 to top Selby (20.50) for the state title. Still, it’s Selby’s Baylor School that leads the men’s points, and the senior got a state title of his own with the 200 medley relay. Selby split 21.38 swimming butterfly as his team (Chandler Espy, Matthew Boyer and Gershwin Greene) went 1:32.20. On the boys side, two more records were rattled but not broken. In the 200 free, Walker Higgins went 1:37.35, just missing the old record of 1:37.11. And in the 200 IM, Daniel Chang of Science Hill High went 1:46.98, with the old record standing at 1:46.29 from last year’s champ and current Tennessee Vol star Sam McHugh. Also winning on the boys side was L&N Stem Academy’s James Bretcher, who went 47.53 in the 100 fly. The only record to fall on the girls side was in the 200 free, where Christ Presbyterian junior Tatum Wade went 1:45.76, taking 1.5 seconds off her record from last year. Harpeth Hall leads the girls meet after getting a 200 IM win from Sophie Pilkington. The senior was 2:02.14 to pull of a narrow 200 IM victory. The Girls Preparatory School won the 200 medley relay to kick things off, going 1:44.69. That team was made up of April Forsthoffer, Susanna LoRochelle, Kristen Myers and Anna Ward. In the 50 free, it was Brentwood’s Jessica Wingo who topped the field by half a second, going 23.10. Other winners were Emily Bretcher of L&N Stem Academy in diving (495.60 points) and Station Camp freshman Riley Gaines in the 100 fly (54.91). Full results are available on Meet Mobile.